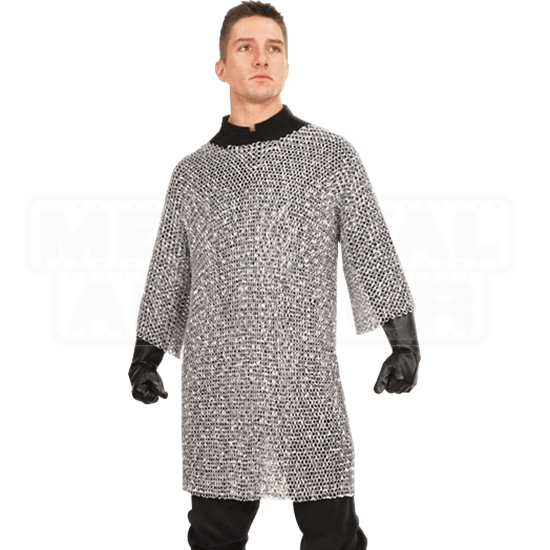 Perfect for reenactors or performers who need authentic looks but do not need the weight, the Riveted Aluminum Chainmail Shirt is lightweight enough for wearing all day. Its riveted, traditionally woven structure lends durability. 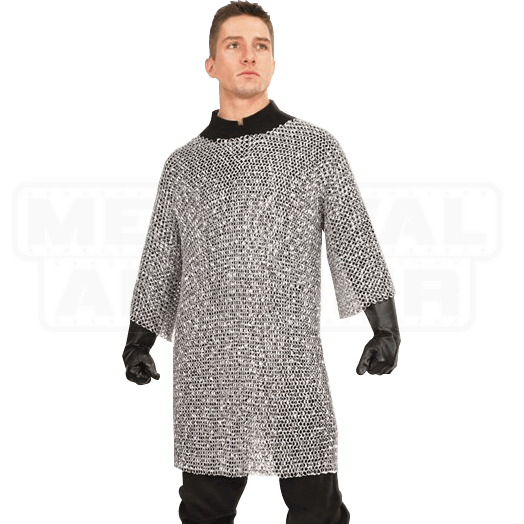 Weighing in at about seven pounds, this chainmail shirt is much lighter than battle-ready versions, making this the ideal choice for costume use. Woven in a 4-in-1 pattern, the riveted rings have an outer diameter of 0.5 inch and create a shirt that covers the entire torso and arms down past the elbows. While riveted chainmail and aluminum chainmail generally cost more than regular steel chainmail due to materials and intensive labor, when the two are combined, the quality and convenience make it all worth every penny.